One late evening, he stood at the station in the middle of going toward her and away from her. Tired of being battered by destiny and being a pawn at its hands, he decided to play the game by its rules. He would let destiny choose for him, this time. He would board the train that came in first from either side, he thought. 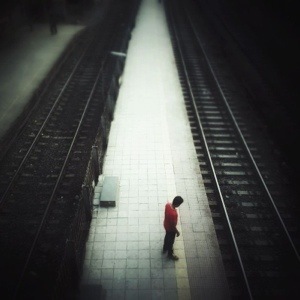 Standing alone in a crowd, lost in thought, he waited for his fate, which was fast approaching the station.